The Cricut Gypsy from Provo Craft lets you take your scrapbooking to the next level. Instead of limiting yourself to simple Cricut designs, you can create elaborate embellishments that incorporate all the cartridges in your collection. Released in September 2009, the Gypsy is a portable design studio intended for use with the Cricut die cutting machine. 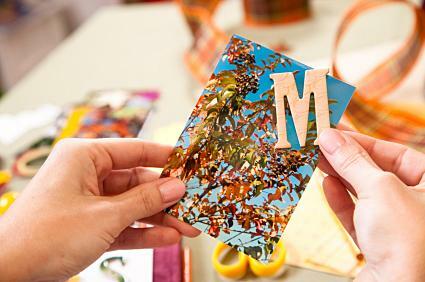 You can take the Gypsy to a scrapbook gathering or use it while you wait in line at the grocery store, then connect it to your Cricut with a USB cable to cut out your designs for your next scrapbook project. The interface of the Gypsy lets you use a virtual version of the Cricut cutting mat to create your embellishment, resizing each shape as needed to make sure the design fits on your layout and avoids wasting any of your favorite patterned papers when it's cut. The rechargeable battery for the Gypsy should last for approximately four hours of continuous use or 12 hours of intermittent use. This gives you plenty of time to experiment with various designs without having to worry about running out of power for the machine. The Cricut Gypsy is a bit bigger than one might expect. It weighs in at just under a pound and measures about 8" x 3" x 1.5". Many people who order this gadget online expect the device to be about the size of a cell phone. However, the screen alone is comparable to an iPhone, which makes the Gypsy much easier to use. The Gypsy is a portable design screen that lets you load all your Cricut cartridges onto it, calling them up whenever you like. It comes with a stylus that lets you draw, create layers and design different layouts using any of the images you loaded, or ones you create yourself. Because the Gypsy is portable, you can design with it anywhere. Once you have the design the way you want it, hook it up to your Cricut and let it start cutting. Should you invest in a Cricut Gypsy from Provo Craft? Since the price of this gadget is rather steep, it's helpful to spend some time thinking about the advantages and disadvantages of the tool before you make a final decision. The machine comes with two cartridges pre-loaded, which is helpful if your collection of Cricut designs isn't as large as you'd like. Typically, Cricut cartridges retail for about $60-$70 for a full character set or $30 for a themed shape set. 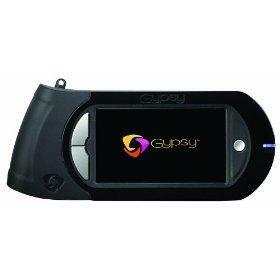 The Gypsy contains a handy search function that lets you look for specific designs within the device's memory. If you have trouble remembering which cartridge features your favorite flower cut outs, this can be a very helpful feature. The Gypsy also stores the information contained on the owner's manual for each cartridge, so you don't need to worry about keeping track of these documents anymore. The Gypsy lets you perform tasks that previously required a computer and the use of the Cricut Design Studio software. Once added to your Gypsy, your cartridges can't be copied to any other Cricut Gypsy system. The cartridges can still be used in your Cricut machine, however. If your Cricut Gypsy breaks, you will need to contact Provo Craft's customer service. Since the cartridges can't be used in another system once they've been uploaded to the Gypsy, it's not possible to simply go out and buy a replacement device. The Gypsy does not support images other than what is contained on the Cricut cartridges you own. You can't use SVG files or true type fonts with the device. With a Cricut Gypsy you get all the great designs of a Cricut loaded up in one, convenient package. Take it with you wherever you might want to do some designing and start seeing your scrapbooks take on new shape.